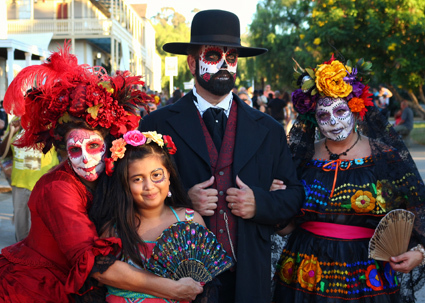 One of the most vibrant and loved events at Fiesta de Reyes, Dia de los Muertos annually celebrates those who are no longer with us. 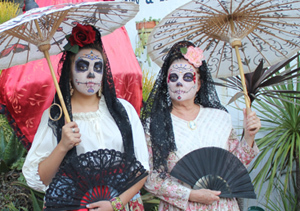 A long-standing Mexican tradition, Dia de los Muertos is celebrated on November 1st and 2nd each year and is an opportunity to remember our loved ones with honor in a lively, vibrant way. 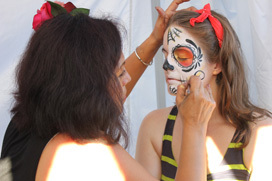 This year, we’re taking the whole weekend, starting October 29 through Wednesday, November 2, to celebrate in style with professional face painters on hand, art demonstrations, live entertainment, both traditional and contemporary altars on display, and a host of vibrant Catrinas holding court throughout Fiesta de Reyes and Old Town San Diego State Historic Park. This is a true celebration of life and a great experience for the whole family! 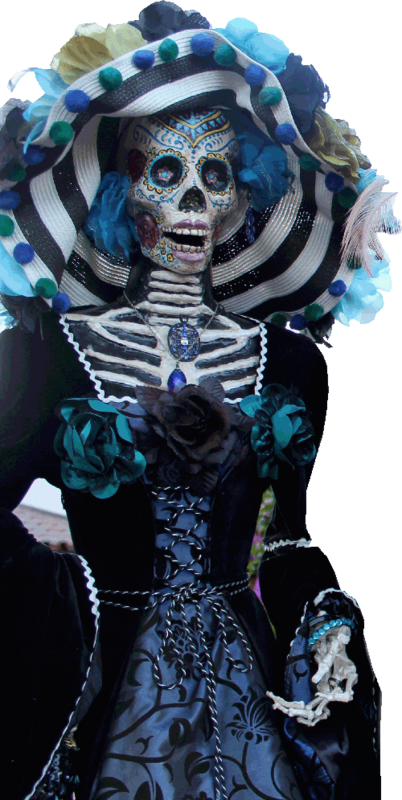 • World renowned professional Dia de los Muertos face painters throughout Fiesta de Reyes and at the Cosmopolitan Hotel and Restaurant. 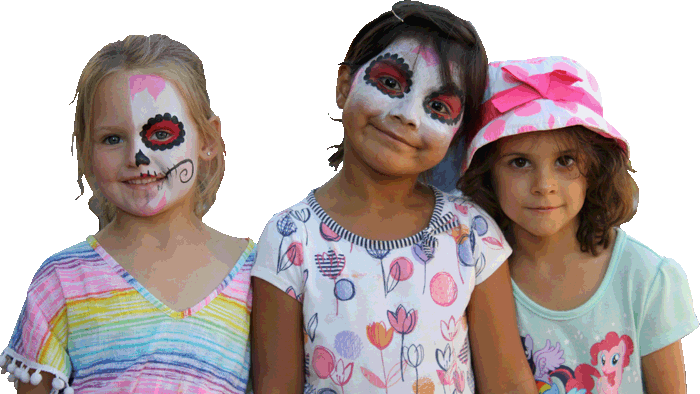 Don’t miss Drop Dead Gorgeous face painters in the Fiesta de Reyes plaza near Tienda de Reyes, Oct 29-30, 9:30 a.m. – close and Nov. 1-2, 10 a.m. to close. 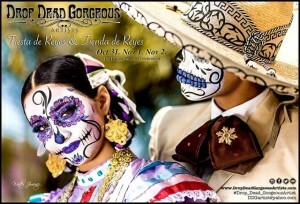 • Painting exhibition by local Dia de los Muertos artist, Nicholas Ivins at Tienda de Reyes, Saturday, Oct. 29, 11 a.m. – 7 p.m.
• Old Town’s biggest after party following the procession on November 2 – Featuring Luis Max on the Fiesta de Reyes Stage. 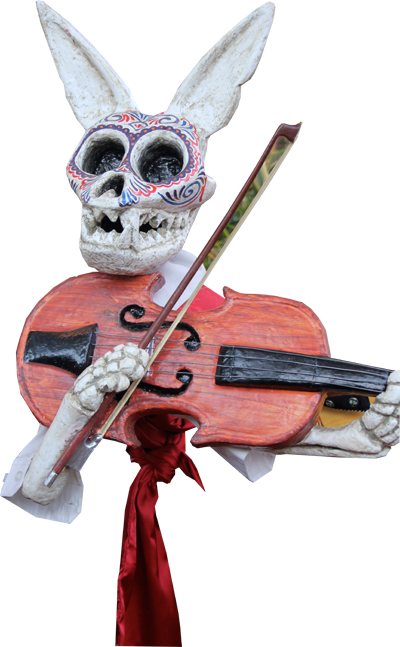 • Special Dia de los Muerto Brunch at Casa de Reyes, Sunday, Oct. 30. The candlight procession is on November 2nd at the intersection of Twigg Street and San Diego Avenue, starts at 6:00 p.m. Gather between 4 p.m. and 6 p.m at Twiggs and San Diego Avenue. 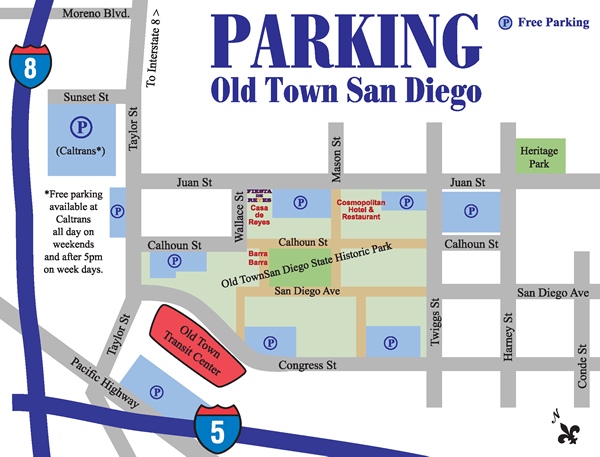 Plenty of free parking at the Cal Trans Building on Taylor and Juan Street. We suggest that you take the trolley, Fiesta de Reyes is a short walk down Taylor to Wallace. Sat – 11 a.m to 9 p.m.
Sun – 11 a.m. to 10 p.m.
Tue – 11 a.m. to 10 p.m. Wed – 11 a.m. to 10 p.m. Sat. 10 a.m. 10 p.m.
Sun. 9 a.m. – 11p.m. Mon. 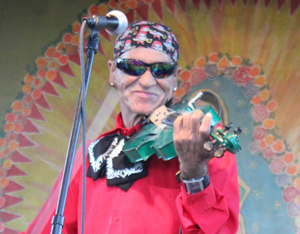 10 a.m. 10 p.m.
Live entertainment until closing each day. See full schedule of events!